This studio welcomes all student singers of all ages, levels, and genres. My teaching style derives from my own instructors who have shaped me into a versatile, virtuous, and intelligent performer and pedagogue. An independent learner, accompanist, and vocal coach, he ranked as a finalist in NATS Regionals and was regarded as a rare talent and virtuoso. He demonstrates versatility in multiple instruments and excels in music academics. 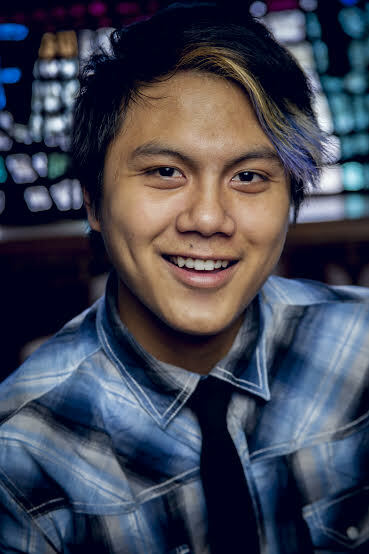 Recently, he earned the ARCT from the Royal Conservatory of Music, Toronto and is currently pursuing a Double Bachelor of Music in Performance and Jazz Studies from Shenandoah Conservatory. Mr. MC is a keyboardist and vocalist for the regionally popular funk band Souled Out; participates in Shenandoah Conservatory's Jazz Ensemble, Orchestra, and Jazz Combo, as well as the opera productions; serves as accompanist and section leader for the sundry choirs of the Stephens City United Methodist Church; and teaches voice, flute, and piano at the Winchester Parks & Recreation. Styles taught: Classical, Swing-Jazz, Funk-Jazz, Latin-Jazz, Legit Music Theater, Non-legit Music Theater, Pop, R&B. SVW prompts body awareness for all students at any level and age.